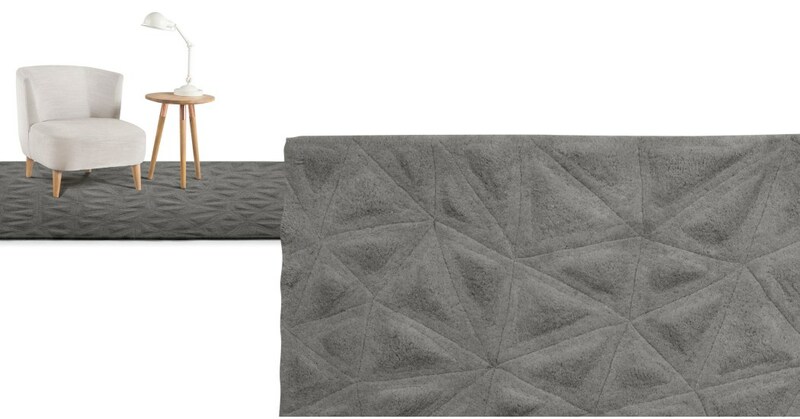 Add depth and colour to your living area with this unique 3D rug, made from contrasting pile heights. Designed exclusively for us, it was inspired by lunar landscapes and geometric shapes. The plush pile and hand tufted finish in the highest quality wool make this rug both hard-wearing and super-soft under foot. Hand tufted and hand carved in India with expert craftmanship. You’ll feel the difference as soon as you walk on it.